- It's Rubble on the double! 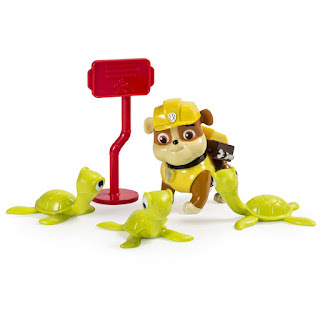 The Turtles need help making their way to the coast. 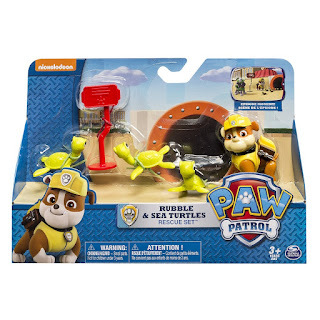 - Use Rubble's real working legs and official Turtle Crossing Accessory to help guide them to the sea. 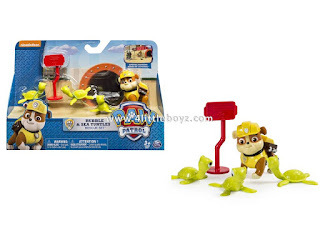 - Discover even more Adventure Bay rescue action with Marshall, Skye and Chase Rescue Sets. - Paw Patrol Rubble and Sea Turtles Rescue Set is for kids ages 3+. No batteries required.